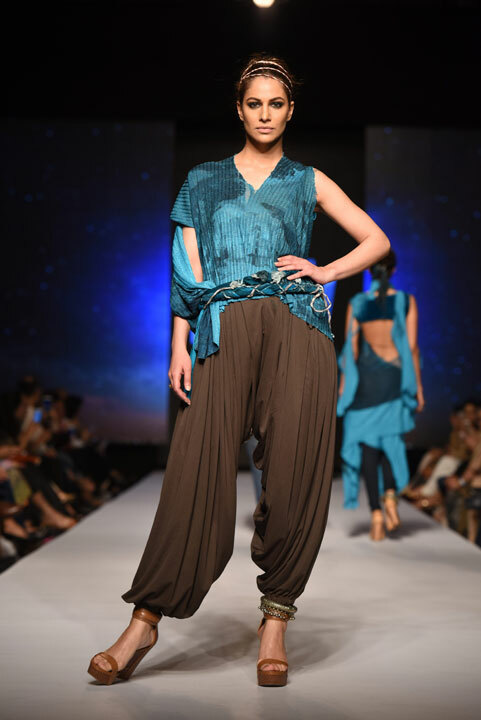 Sonya Batla definitely knows how to create a whirlwind of amazement through the art of draping. 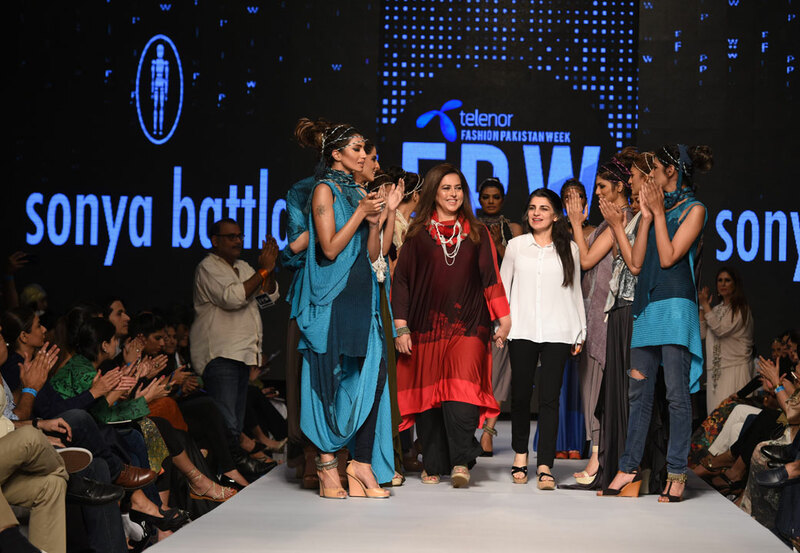 A sequel to her "Manora" collection was shown in the Telenor Fashion Pakistan Week 2015. 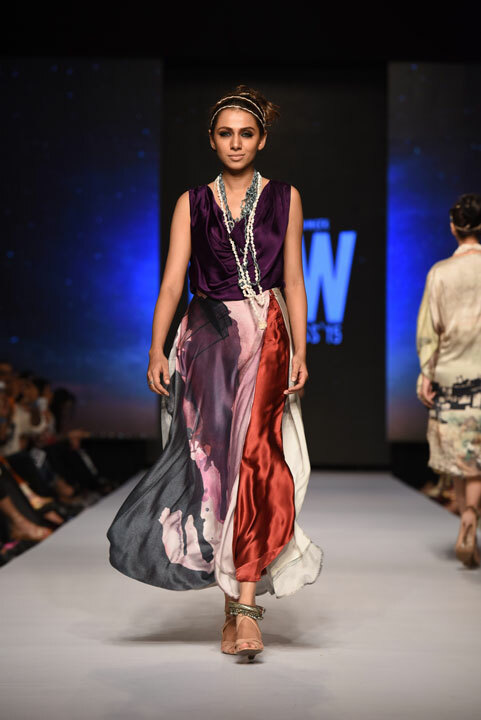 The simplistic elegance of her collection, with ambiguous prints inspired by Naiza Khan's paintings, created a wish-wash of colors brought together with unrestricted, fluid and rich fabric. 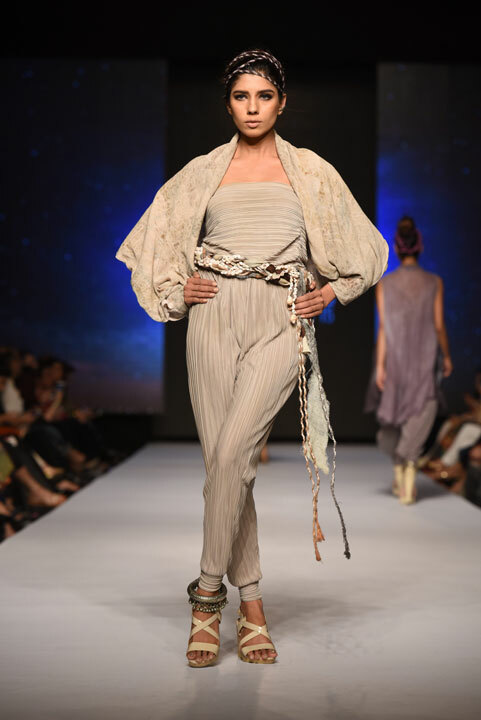 The fabric mix felt timeless and true, the forms were delicate even with the layering. 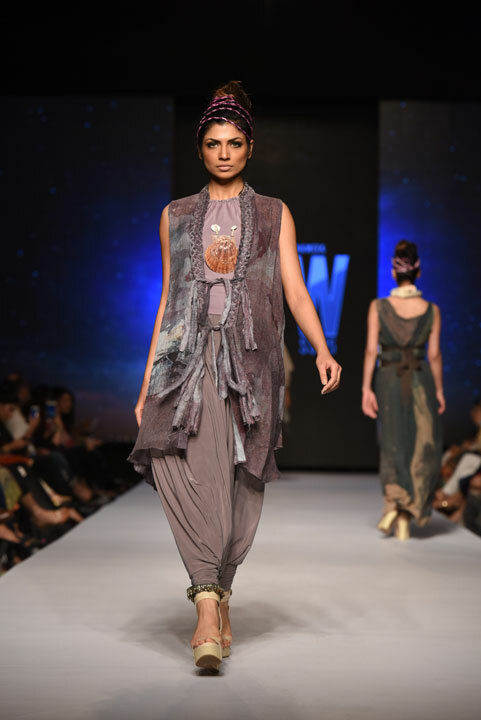 Despite the edgy randomness, the clothes felt proper, minimally offbeat. The series was lovely. Romantic with a sweet sense of rawness. 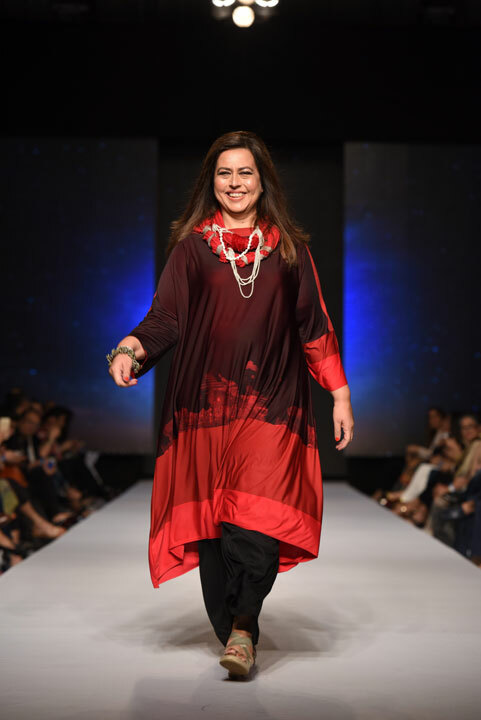 The eye popper was Ayesha Tammy Haq emerging on the ramp as Sonya's show stopper with applause booming in the background. The collection is definitely a notable one this season. I love the fabrics that were used here!